"To devote oneself frequently to prayer." 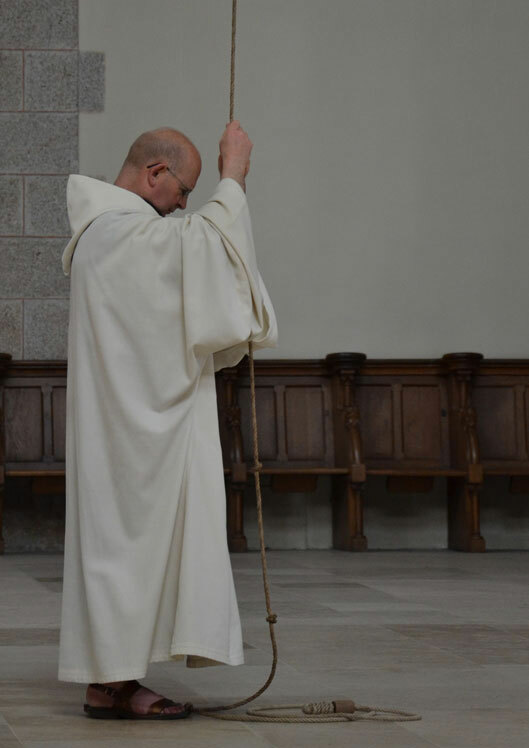 The Cistercian monk is a man who knows he is called to a life of prayer. Prayer takes various forms in his life. There is the so-called prayer of the Divine Office or Liturgy of the Hours. 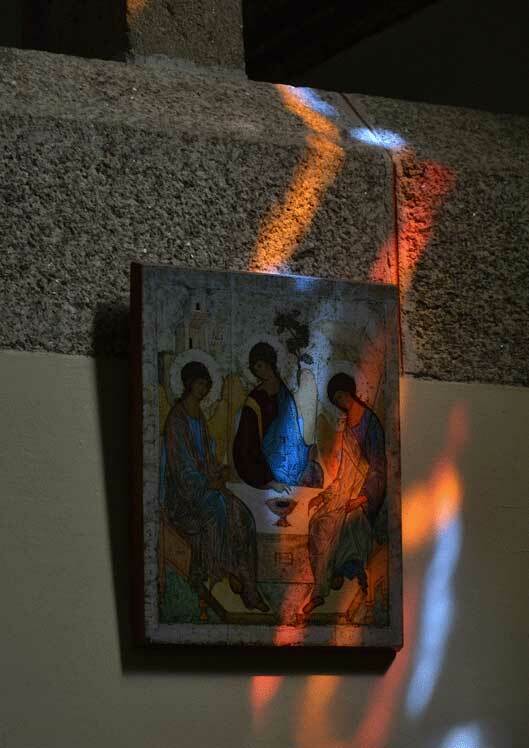 It is the great prayer of the Church which the monastic community celebrates, from Vigils in the heart of the night until Compline before retiring for the evening. Besides, in the morning and in the evening, with the Major Hours of Lauds and Vespers, monks join the prayer of the Church, the people of God called to praise and supplication. 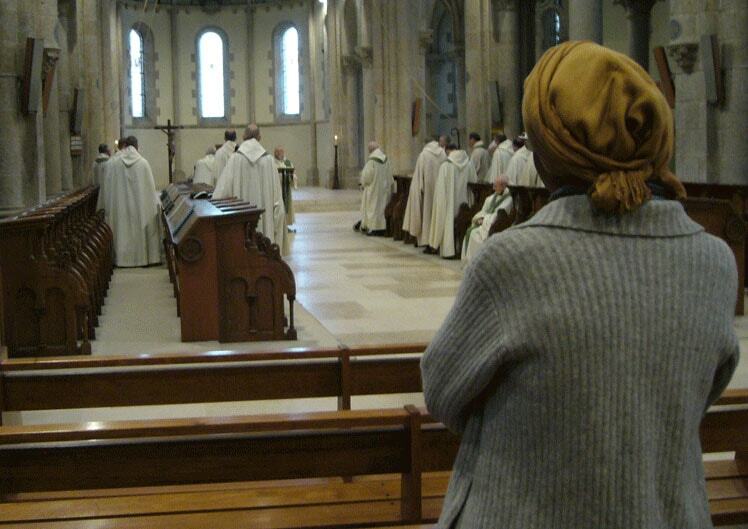 Monks also celebrate the Little Hours (Terce, Sext, None) which express how much all of life is imbued with prayer. 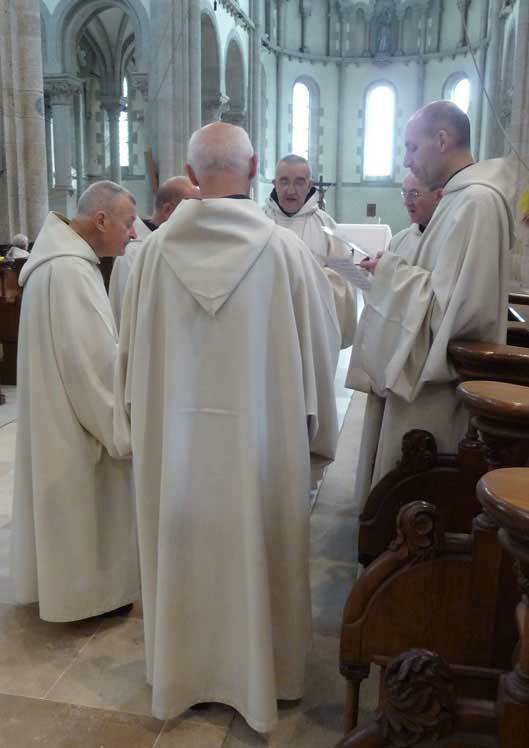 Finally, all brothers are assembled in the choir for the Eucharist which is the heart of the monastic day, the source and the culmination of all the life of the Church, of the Work of God. Each monk also devotes time during the day to personal prayer often called orison. It is definitely a deep and intimate experience, giving oneself up into the Father’s hands, intimacy with the Lord Jesus, a smooth and peaceful submission to the Holy Spirit. It is up to each monk to let himself be led into that prayer to which he is called through his baptism. In his continuous search of God, the monk also goes to the scriptorium for Lectio Divina, where he is supported by the silent presence of his brothers. It is first and foremost a spiritual meditative reading of the Word of God written in the Bible and also of the words of men and women who have brought it within our reach, the Doctors of the Church and of the monastic tradition, past and present. 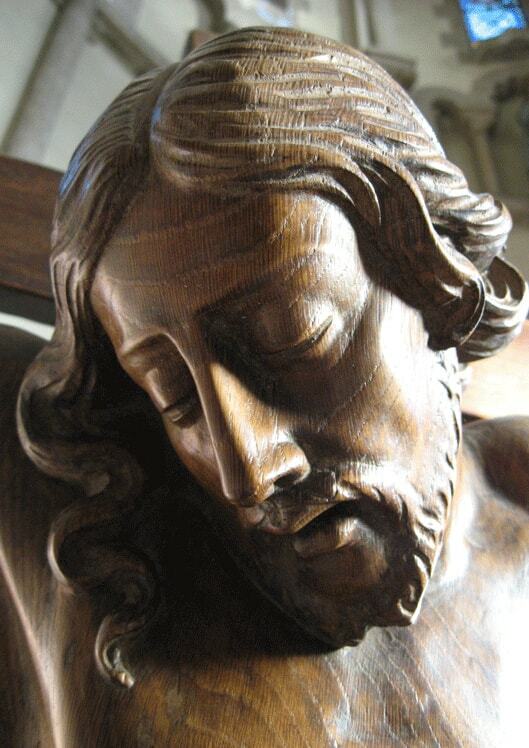 Jesus, have mercy on me ! Glory to you, O Lord ! The fruit of those various forms of prayer is to lead the monk, little by little, into inner silence where words are no longer needed : there is only the whisper of the Spirit in the heart of the monk in whom the Holy Spirit dwells. unless he can fulfill that office in such a way as to edify the hearers." "A very ancient tradition gives hymns the place in the office that they still retain. By their mystical and poetic character they are specifically designed for God's praise. But they also are an element for the people ; in fact more often than the other parts of the office the hymns bring out the proper theme of individual hours or feasts and incline and draw the spirit to a devout celebration. The beauty of their language often adds to this power. Furthermore, in the office hymns are the main poetic element created by the Church" (n°173). 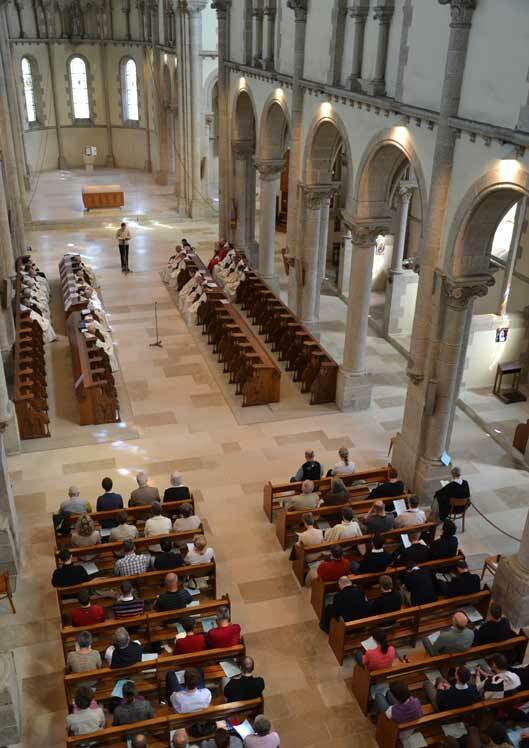 The liturgical reform precisely allowed the writing of new hymns and that is the reason why the "Commission Francophone Cistercienne" (CFC) got started into writing, together with other authors. "And never despair of God's mercy." "Pray for me; pray for my family"
In that request, lies the firm belief in the role of monks and especially in the ministry and the service of prayer. Thus, we invite you to send us your prayer requests. They will be brought to the brothers’ attention during our liturgical service. This way we express our deep communion and our solidarity with the people of God. Also, if you ask for it, a priest-monk can include a prayer request in the Eucharist. For instance a mass for a deceased person, a relative, a friend. Or else a Thanksgiving mass for a golden or silver wedding, a priestly jubilee or a particular intention such as a recovery. The celebration of mass is free of charge and is priceless. But the faithful, from the start, have wanted to show that sharing the Eucharist involves the whole being, just as Christ fully committed himself, giving his life to free us from sin and from death and to offer us eternal life. Hence their offerings, either in kind (the origin of the Offertory) or in cash in order to provide for the expenses of worship, to support the priests and the life of the Church. Currently, the amount of the stipend is 17 € for a request for a mass. You can also ask for a novena (9 masses in a row : 170 €) or for Gregorian masses (30 masses on 30 consecutive days : 600 €).